Matt Tilley’s radio prank calls have formed part of the basis of Nine’s revisit to a familiar genre. Surprise Surprise Gotcha (a somewhat mouthful of a title) will air at 7:30pm Tuesday September 18. The first victim of the pranks may well be Bert Newton. Up until yesterday his 20 to 1 was still scheduled for airing Tuesday nights. Oh well, maybe he can go and support Patti Newton on Dancing with the Stars? Joining Tilley will be Jackie O, another Austereo favourite, who last appeared on Nine’s The Nation. Many of the targets will be Nine celebrities. The genre has been around forever under various titles including Candid Camera, Surprise Surprise, Punk’d, Just Kidding, Catch us if you Can and Stooged. But the ABC is finding great success with the pranks of The Chaser -a slightly smarter approach to the genre than many of the aforementioned. Welcome to Surprise Surprise Gotcha, Nine’s new series shot in the surreal world of hidden cameras where illusion becomes reality and stings and stunts have unsuspecting celebrities playing the lead role without knowing it. This is the hidden camera series that sets the standard with a unique blend of outrageous gags, carried out with accomplices who are the friends, family and colleagues of the unaware celebrity victims. The show revolves around a key ingredient: well known celebrities falling prey to harmless practical jokes. Each gag is shot like a dramatic “short”, scripted and fully staged with makeup, costumes, elaborate sets and even stunts. Combining between five and 15 cameras, up to a dozen hidden microphones, and using rehearsed actors, Surprise Surprise Gotcha pulls out all the stops. High-profile presenters Jackie O and Matt Tilley from the Austereo radio network host the show. 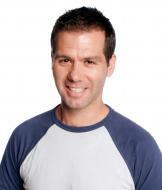 Tilley is considered Australia’s current master of prank and impersonation whose brazen “gotcha calls” have been a network hit. Jackie O and Tilley bring viewers the hilarious reactions from the surprised celebrities – watch as the penny drops and they realise they have been well and truly got! Here are some of the pranks and traps set for the celebrities in this new series of Surprise Surprise Gotcha, including a few celebrity pay backs from past stings. * After Temptation’s Ed Phillips had co-host Livinia Nixon locked in a phone booth, she invites Ed to a wedding with bizarre cultural aspects. * AFL player Shane Crawford gets his own back on horse trainer David Hayes when he finds himself at lunch with a nine-year-old genius who astounds him with his knowledge of the racing industry. * Karl Stefanovic of Today has a very difficult interview with an Arab sheikh who wants to turn Princes Park in Melbourne into a winter wonderland. * Author Tara Moss has car trouble which causes chaos in the streets. * Dermott Brereton goes to lunch with Getaway’s Jules Lund where the food is not just fresh … it’s alive. * Billy Slater, of the Melbourne Storm, discovers he has his own web site. * Radio personality Amanda Keller comes into a lot of money … but not for long, as she discovers. * Hi-5’s Charli Delaney finds herself cruising Sydney Harbour with a bizarre charity. * Toni Pearen, of Australia’s Funniest Home Video Show, attends a charity function at Sydney’s Luna Park, only to take a very, very long ride on the ferris wheel. * Today’s Gorgi Quill meets a guy who is having the unluckiest day of his life. That’s Surprise Surprise Gotcha. Celebrities be warned – around this side-splitting series, no one is safe. I also agree with neon kitten; why do they keep sticking jackie o on tv shows? the mere mention of her name makes me change the channel. And apparently the title of the show itself is side-splitting to someone at Nine. I give this trash two more weeks at most. Candid camera shows with D-grade “celebrities” no longer on air are not want people want to see. How can Nine bring this crap on and take off shows like ER with no warning? Keep digging that hole, channel Nine! It seems that Nine is churning out 3 completely new shows per week. Well, it certainly helps when their shows cost next to nothing to produce. Have to agree with Neon on all 3 points. I don’t quite understand the networks (all 7,9 and 10!) persistance with Jackie O? She has no TV talent apart from apparently looking too good for radio but she’s has been through more stations than the Pakenham line and has yet to deliver anything substantial in substance or ratings. To the networks: let her go! It’s not going to happen!! And really, it is sad that we haven’t made much progress from Candid Camera-type shows! I guess Seven must be thrilled it will only help them stay on top!! Doomed to a one-week run under the current ADD-affected Nine programming regime. 1. Jackie O. Has nobody realised yet that viewers generally don’t like her? 2. The title. What is this, the ’70s? 3. The description of it in the PR as “side-splitting”. We all know what Nine’s definition of “side splitting” is, and it usually means comedy fit for a five year-old.